Come and say hello at stand 3117 in Hall 3, for any product queries and a chance to see our latest innovations. Visit https://www.ccmshow.co.uk/for more info on the event. See Whale at The National at Ragley Hall, Park & Gardens, Alcester. Come meet some of the Whale team and view our range of products. 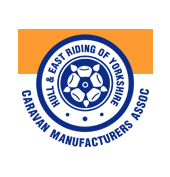 Visit www.caravanclub.co.uk for more information on this year's event.